We have always known that quality grapes are essential for making a good wine. 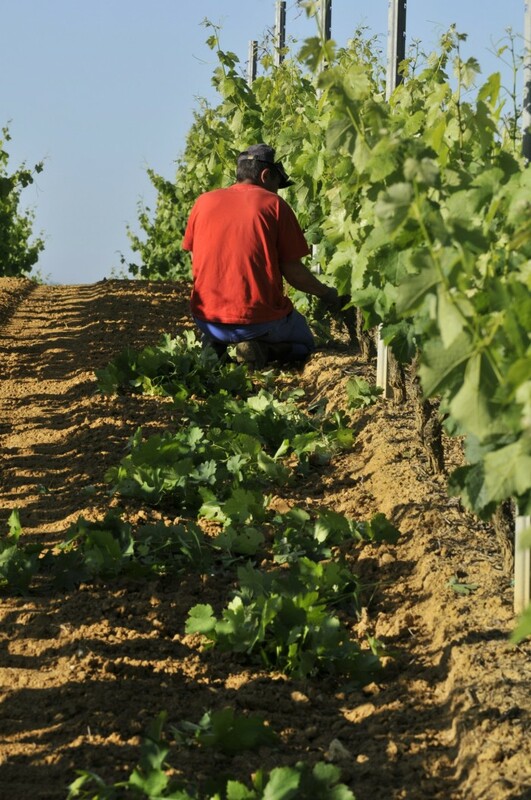 We therefore take the utmost care in our vineyards, to get the best from every plot of land. The size of our business also allows us to make numerous investments in the latest tools, which enable us to unite traditional knowledge with the latest technologies, and therefore to become ever more precise and respectful of the environment in the work that we do. The density at which vines are planted has an impact on the quality of the grapes. The denser they are, the greater the competition between each vine; so the grapes will develop less while having a higher concentration of sugar and flavour. Our vines in Entre-Deux-Mers were planted at a density of 2500 per hectare in the 50s; today, we have 4000-4500 per hectare. 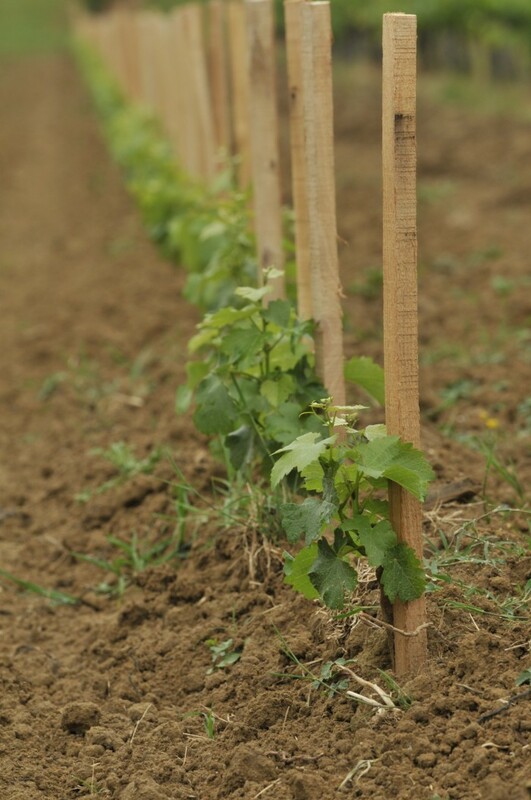 The vines are now planted in rows 2.5m apart with plants spaced at a minimum of 1 metre apart, compared with 3.5 metres in the past. When we acquired Château des Demoiselles, the vines were irregular and planted in pergola. We carried out serious restructuring work in the years that followed, to double the density of the vineyard. The vines were pulled up and replanted in 2-metre wide rows to achieve a density of 5000-6000 vines per hectare. This denser planting allows us to access the vines more easily and to increase the quality and regularity of the yield, therefore improving the vineyard and making managing it more efficient. The vines of Château Jacques Noir have a density of 5500 plants per hectare. Those of Château Plaisance have a density of 6600 plants per hectare since we acquired the property. We regularly invest in new equipment for two main reasons : a desire to constantly evolve and improve quality while reducing the amount of strenuous and dangerous work undertaken by our co-workers. Over the years, we have upgraded the equipment at each of our properties. With the increase in size of our vineyards, our harvests are now carried out with the help of the latest generation of harvesting machines, which make it possible for us to collect the grapes in the cool of the morning. Because they enable us to harvest more quickly, they offer us increased flexibility and an improvement in quality. Among our latest acquisitions is a machine that allows us to plant using a GPS guidance as well as an innovative and precise spraying system and flexible frames that allow us to reduce waste and the amount of treatment products used. All this is done to keep Ludovic happy, our ingenious full-time mechanic who works tirelessly to improve our current tools, along with a number of local artisans who deal with more complex repairs. – To optimise the way that we plant different varieties across our plots. 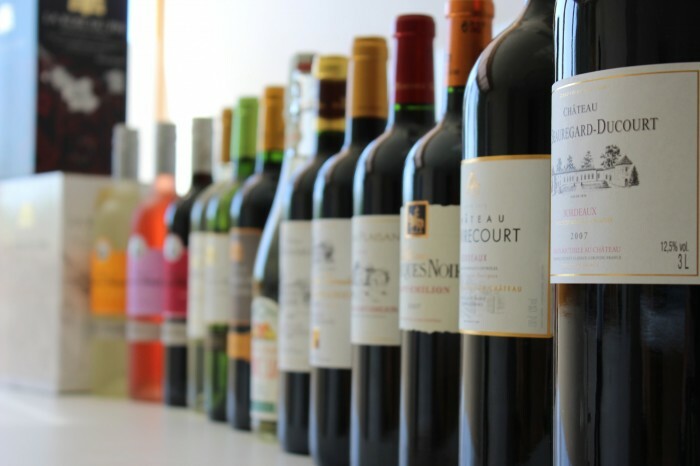 This explains the relatively large proportion of white wine that we produce, despite the fact that the red can sell better in Bordeaux, because we have excellent white-wine terroir and we want to make the most of it to enable our different varietals to flourish. – To fight disease in the vineyards in a highly targeted manner and therefore to drastically decrease the need for regular treatment. This has allowed us to reduce the frequency of treatment by 30% in 10 years and we continue to explore new avenues to improve even further. 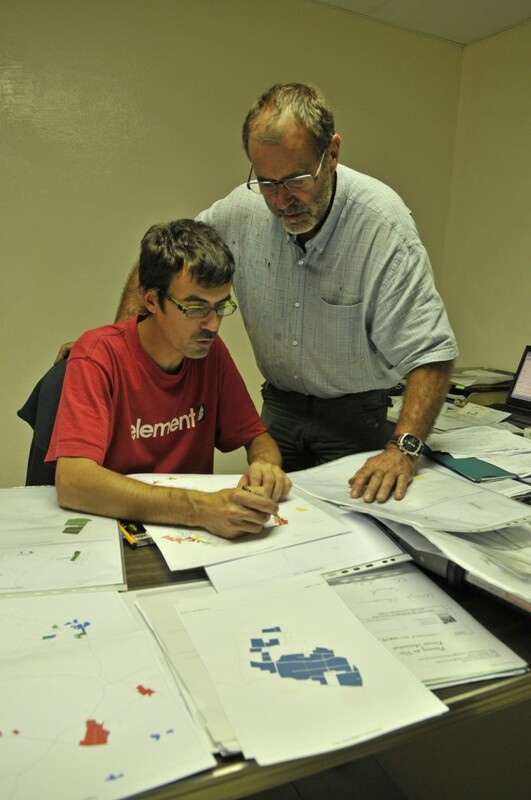 Plot selection is also an important aspect of our quality-oriented approach in terms of winemaking. The objective is to identify the qualities and potential of each plot and to make it possible to create homogenous, high quality wines. Increased analysis and understanding our soils also make it possible to reveal the strengths and constraints of a given plot, and therefore to adapt the work that we carry out in the vines accordingly. 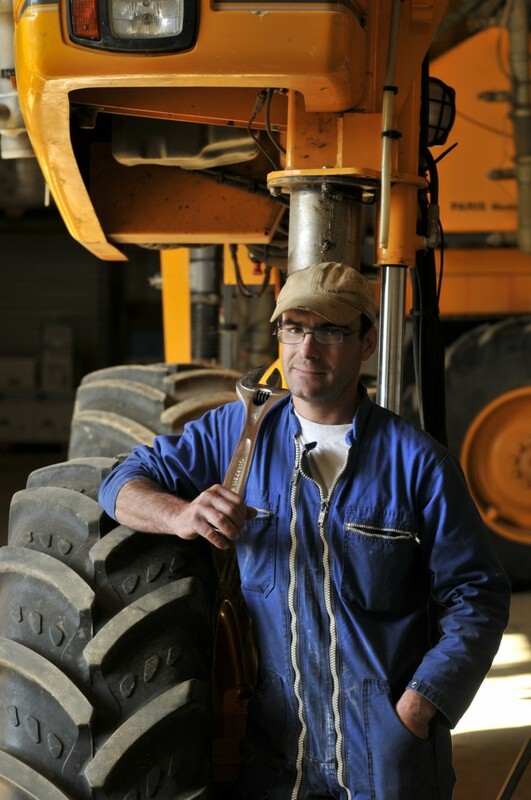 Our size, combined with our desire to constantly remain at the forefront of modern winemaking, means that we use tools worthy of Bordeaux Grands Crus. We have adopted modern vinification techniques whilst respecting our local specificities, in order to produce delicious, authentic wines that reflect the terroir upon which they are produced. Our size allows us to invest in equipment that is worthy of a Grand Cru, and therefore to push further in the constant quest for quality, which applies to our entire range of wines. Our new pressing system, for example, allows us to press our grapes in a completely inert environment, to prevent any oxygenation of the juice and to preserve the aromas of each varietal, to arrive at more intense and fresh-tasting wines. 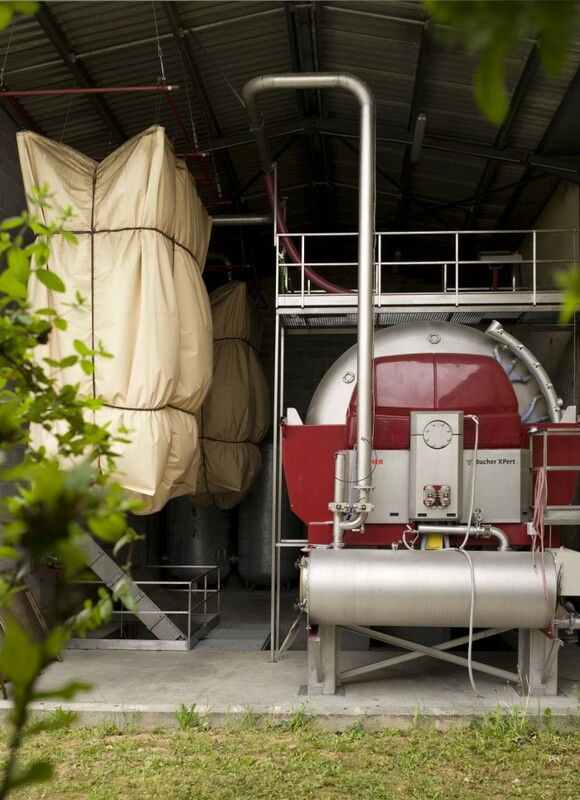 Our wineries as well as each of our stainless-steel vats are thermo-regulated in order to keep the juice in the best conditions possible and to maintain complete control over the entire fermentation process. We are also used to only commercialising wines that are ready to drink, and we therefore have to guarantee optimal conditions for ageing in our dark, air-conditioned cellars. We have also invested in a cross-flow filtration system for filtering wines before bottling, which ensures optimal quality and no waste. Finally, to improve safety for our co-workers we also regularly invest in new equipment such as carbon-monoxide detectors, helping to prevent accidents including asphyxiation during the cleaning of the vats. Our most recent investment to date concerns our bottling line, put in place with the collaboration of our employees in order to reduce their workload. We have the good fortune to be able to build on several generations of winemaking experience, which enables us to produce wines that are adapted to the tastes of our consumers and not to get carried away with trends. We therefore produce wines that respect our local typicity. Some tastes and winemaking techniques are cyclical and come back into fashion. 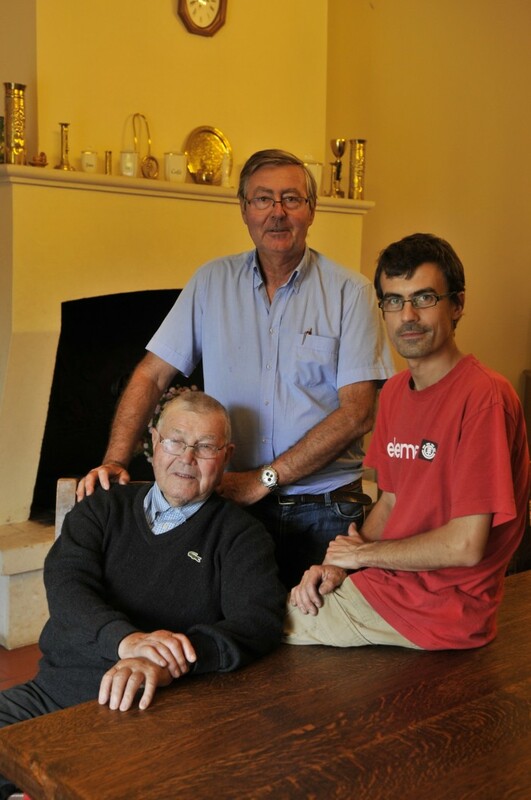 This has been the case over the past few years since we decided to start producing sweet white and demi-sec wines : the know-how of Bernard and our grandfather Henri have been very useful to Jeremy. We frequently organise tastings of two old vintages so as to improve our understanding of our wines’ evolution over time, and so as to be able to really tell people when is the best time to drink their wines, and to know when we should commercialise our wines. Why? Because we love to come up with new ideas, not get stuck in a routine, and test new methods that allow us to improve and advance our knowledge. Because we are also constantly listening to our clients – what they want, and new consumer trends around the world. The great strength of the Ducourt family is to be be able to imagine and produce high-quality wines that respect the typicity of the terroir, and which are in sync with the evolving tastes of the consumer and the expectations of our clients. The success of our two latest brands, « Monsieur Henri » and « Blanc Limé », reflects our creativity and rigorous standards. – On a personal level, we have been testing resistant grape varieties in Entre-Deux-Mers on three hectares of land since June 2014. There are two reasons for this : firstly, having more disease-resistant plants allows us to reduce treatment; secondly, looking to the future and the impact of climate change, we will need plants that are well-adapted to such conditions. – We have taken part in a huge study to understand the effects of different types of bottle stopper (different kinds of cork, screw-caps etc.) 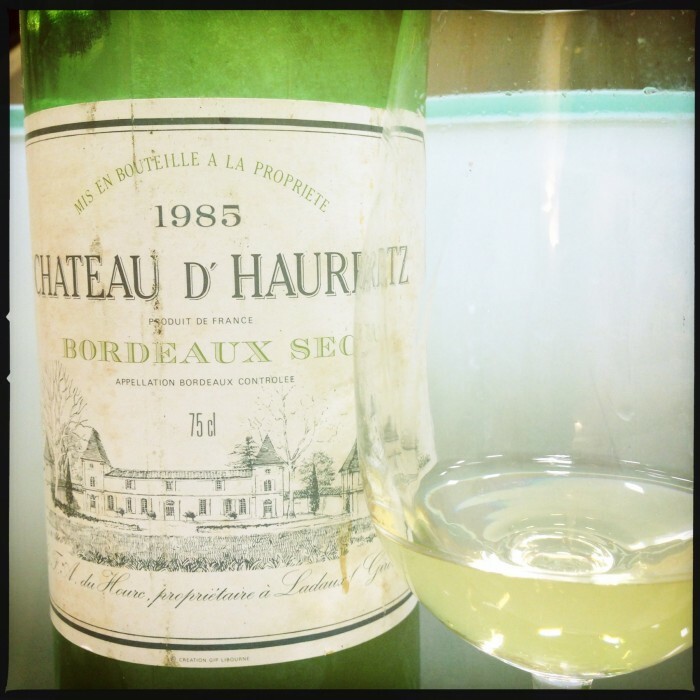 on the ageing of wine, in partnership with Bordeaux’s University of Oenology. More than 600 bottles have been tracked, analysed and tasted over 5 years to explore and scientifically log the evolution of the wine over time. – We are part of the Dephy agricultural group, and as a pilot enterprise for the Ministry of Agriculture, we take part in experimental programs to minimise the amount of intervention necessary for vineyard health. 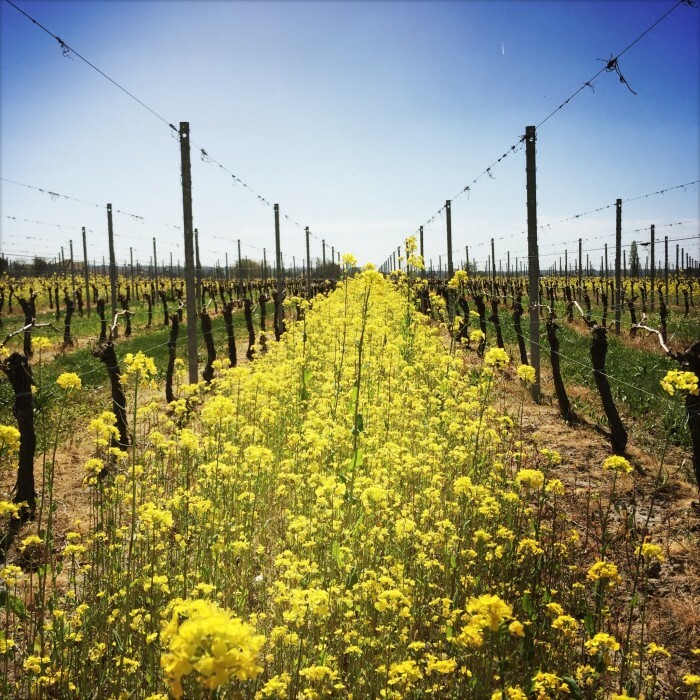 Currently, we have two experiments underway: the Mildium protocol and winter covering with green manure which involves planting a different crop in our vines in winter to promote soil life. We are constantly improving our filling unit capacity in order to be more flexible and to be able to respond to the needs of the majority of our clients. We were therefore the first Bordeaux producer to package one of our wines in “Bag-in-Box” 35 years ago! 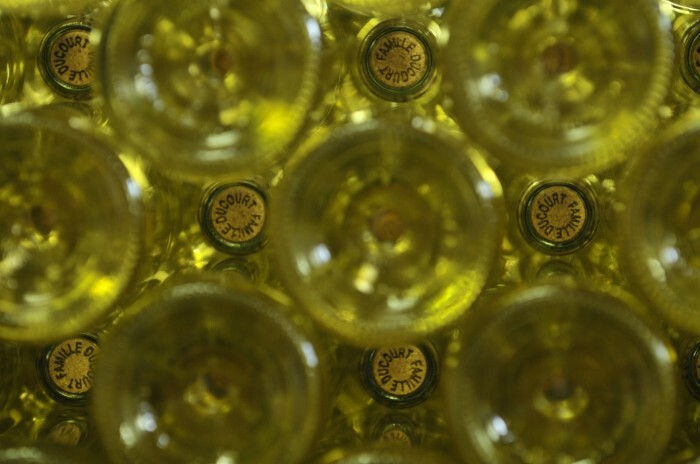 We were also among the first in Bordeaux to use screw-caps on some of our wines, notably the whites and rosés. Today, we have a chain that is specially adapted for this type of bottle stopper, alongside our more traditional one with our corks. 37.5cl, 75cl and 1.5cl bottles, or mixed cases. We’ve always understood packaging, from the half bottle to the largest formats, we have the flexibility to satisfy the whim of every client and bring satisfaction to our end-consumers. One of the most important things that we want to convey at Ducourt is a love of wine. 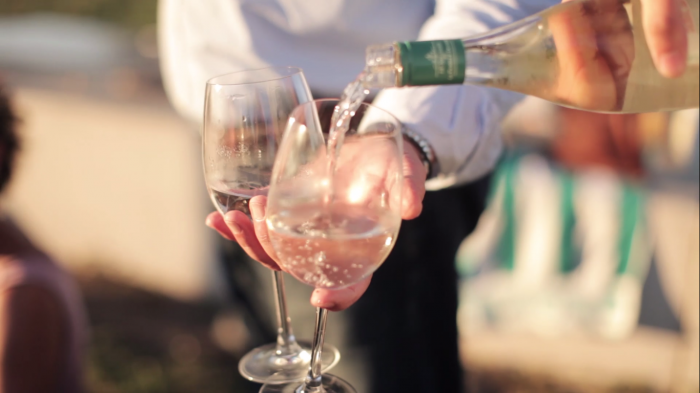 For us, wine is not just a drink; it creates moments and memories. This involves both a love of live, of sharing, but also a certain amount of seriousness and humility. Whether it’s red, white or rosé, most professionals and consumers agree that our wines are characterised by finesse, elegance, precision and flavour. 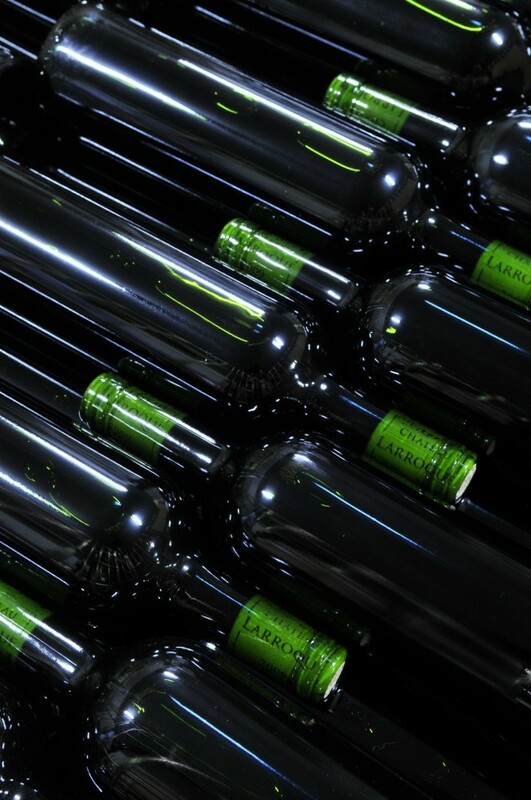 Our white wines are all produced in our winery at Ladaux. Our varieties include Sauvignon Blanc or Gris (80%), Semillon and Muscadelle. The vinification of our white wines generally begins at the beginning or middle of September. Harvesting takes place with the help of harvesting machines in order to optimise the picking time and the date that the grapes enter the winery as well as to preserve the freshness found in these wines. 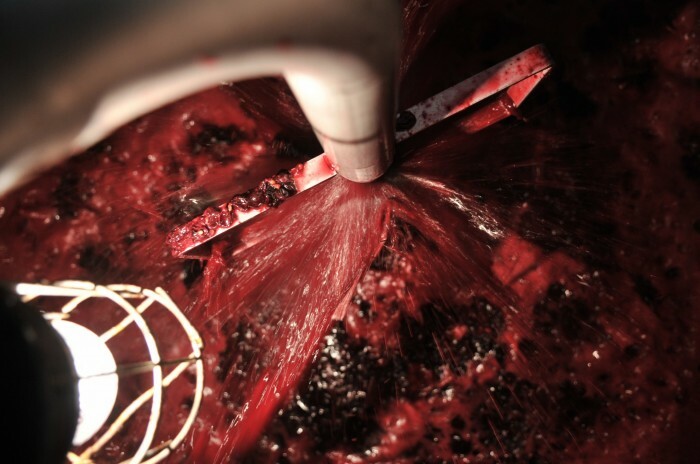 The harvested grapes are next de-stemmed before being pressed, with care taken to avoid the juice oxidising. The juice is decanted at low temperatures, the heavy particles fall to the bottom of the vat and the clear juice at the top is pumped into thermo-regulated stainless steel vats where alcoholic fermentation take place. The remaining deposit is filtered through a filtering press. The juice from this filtration is particularly aromatic and is kept for future blending. Next is the fermentation process, which transforms the sugars into alcohol. Once this has finished, the wine is kept in thermo-regulated stainless steel vats on fine lees and stirred up regularly until bottling. Finally, blending will define the aromatic profile of the wine, since several varieties are mixed together. It is the blending of these different-flavoured wines that creates the complexity and balance that is necessary for a successful wine. Sauvignon brings notes of citrus, boxwood and freshness while Semillon brings flavours of peach, hazelnut and floral hints. Our rosé wines are made from Cabernet Sauvignon and Merlot. The vinification of these wines is notably similar to that of our white wines. The only difference is the short maceration of juice and berries that takes place in the press. 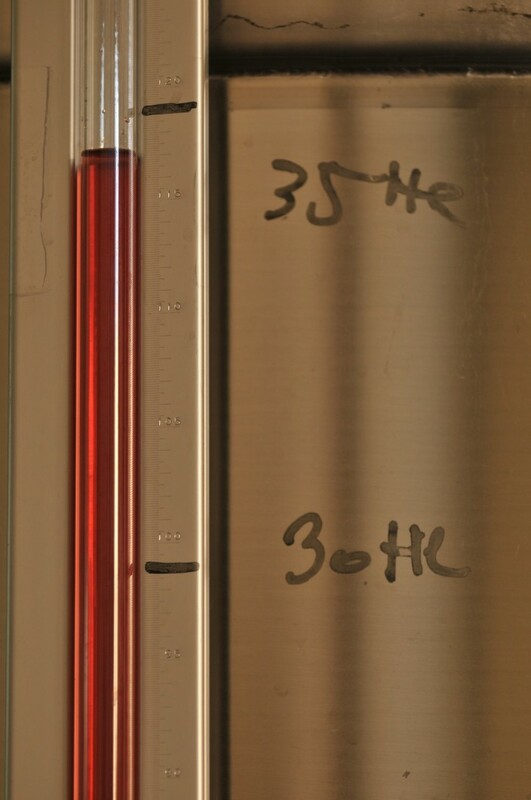 This maceration of several hours allows us to determine the colour of these wines and the length of this process varies according to the intensity of colour desired. The longer the maceration, the darker the wine will be. For our wines, this maceration lasts an average of 1 to 6 hours, giving a very good balance between freshness and flavour. 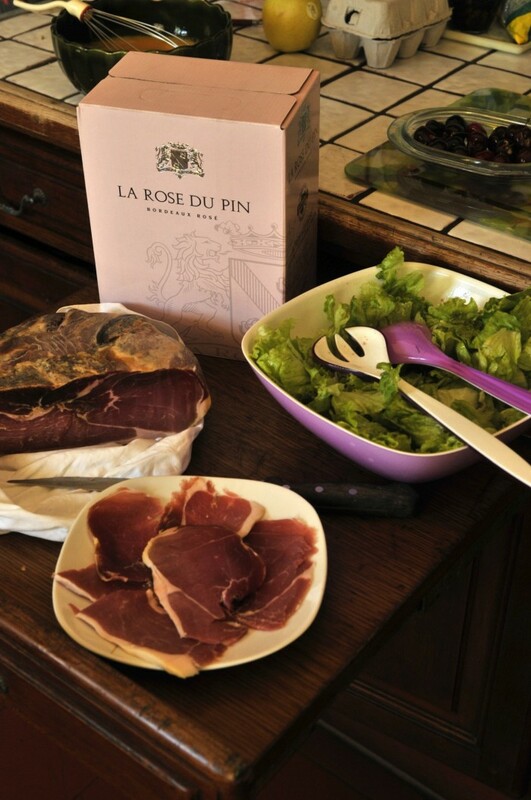 It is important to not that unlike many producers, our rosé is not just made for reasons of opportunism. This is not run-off rosé but rosés made by direct pressing. We made the choice a long time ago to produce good rosés, and the grapes are therefore grown on two plots that are devoted exclusively to them. As for the whites and reds, blending gives the wines their richness and freshness. Our vineyards are planted with 60% Merlot and 40% Cabernet Sauvignon for the reds. During this period the berries release their juice so the vat is divided into a liquid part and a ‘cap’ at the top (the skins and pulp). This alcoholic fermentation lasts about 8 days and it is as this point that the tannins and the colour are released, thanks to pumping over which involves watering that ‘cap’ with the juice from the bottom of the vat. Once alcohol fermentation is completed, two wines are separated off: the free run wine and the press wine. The free run wine accounts for about 85% of the volume. The press wine is obtained through pressing the ‘cap’. The two wines are kept in different vats for the next stage of the fermentation: malolactic. This stage allows the wine to soften and to lose its excess acidity before the ageing process begins, either in thermo-regulated stainless steel vats or in oak barrels according to the wine being produced. Finally, the blending of the two varieties gives the wines their complexity and aromatic richness. In our terroir, the Merlots have aromas of red and dark fruits, including blackcurrant and plum, which bring a soft, generous side to our wines. The Cabernets offer flavours of dark fruits when they are young, but also a more vegetal touch, and give the wines structure and the ability to age well. Our reds are made to be appreciated over time, and some need a few years of ageing in the cellar to express their full potential. For this reason, we have made the decision to hold onto our bottles in our winery for as long as it takes for the wines to reach their peak. It is only at that stage that we choose to commercialise them. Therefore, one can be sure that when they’re sat opposite a bottle of Ducourt, it’ll be at its best.